Little, Brown Books for Young Readers, 9780316307437, 176pp. This companion to the New York Times bestselling How to Train Your Dragon series is a must-have for all heroes! 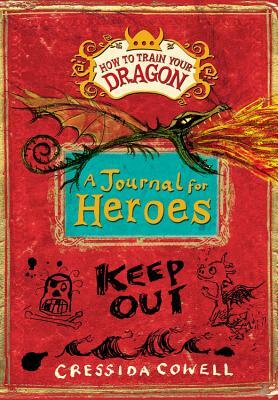 Within this journal, you'll find brave quotes from Viking hero and dragon-whisperer Hiccup Horrendous Haddock III, rousing Viking songs, and jokes that Toothless thinks are very funny indeed. And don't miss the useful Dragonese phrases, scenes from your favorite How to Train Your Dragon adventures, and blank pages for you to fill with your own dragon doodles and heroic musings. Cressida Cowell lives in London with her husband, Simon; children Maisie, Clementine, and Alexander; and two cats, Lily and Baloo. In addition to translating Hiccup's memoirs, she has written and illustrated picture books including How to Be a Viking.